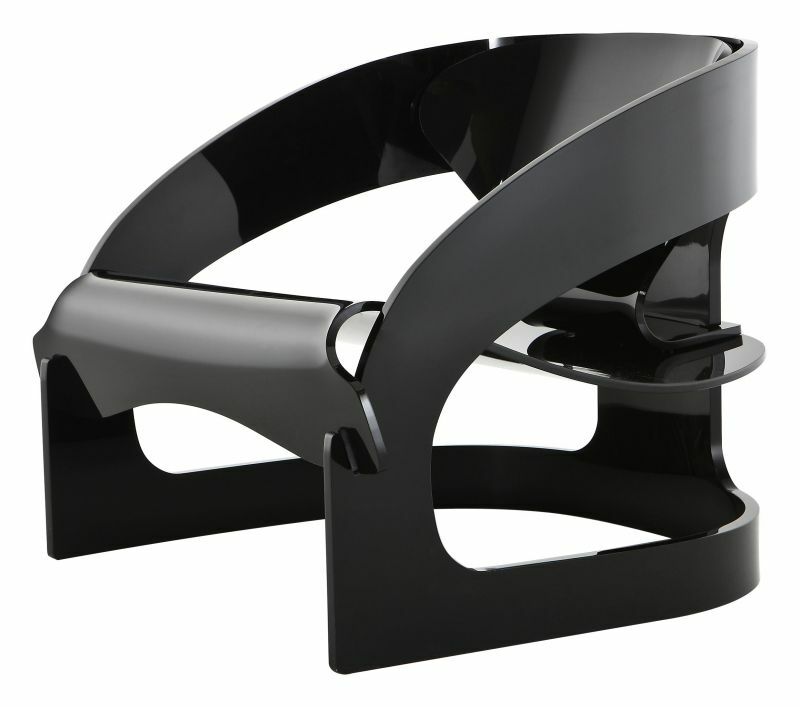 Kartell chair reissued the 4801 Joe Colombo. The 4801 meeting is now available in three colors that enhance the forms: crystal, black and white, is produced by Kartell in numbered series. 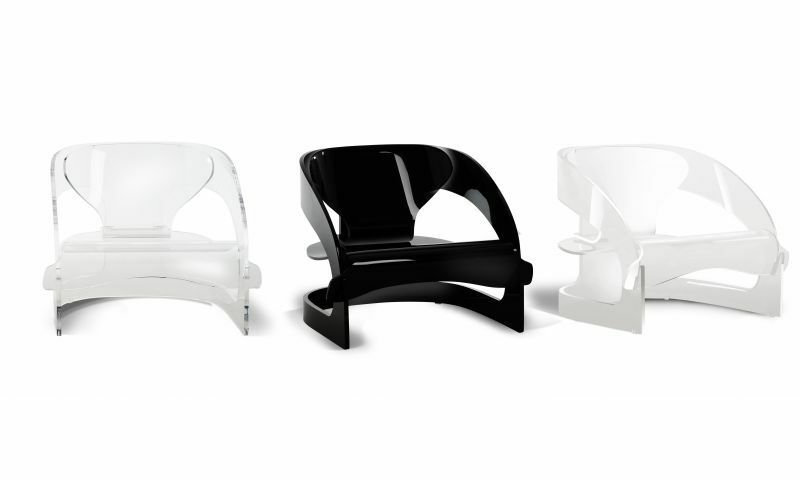 For the first time in its 60 years of history, Kartell decides to pay homage to one of the most iconic pieces of his own museum, and reissued the 4801 chair, designed in 1965 by an Italian Maestro, Joe Colombo, who is considered to be one of the real big visionary of that time but he died prematurely, at only 41 years, in 1971. Authentic symbol of the design of the sixties, sought after in auctions of modern and exhibited at major museums around the world; including the MOMA in New York, the Victoria & Albert Museum in London and the Centre Pompidou in Paris. 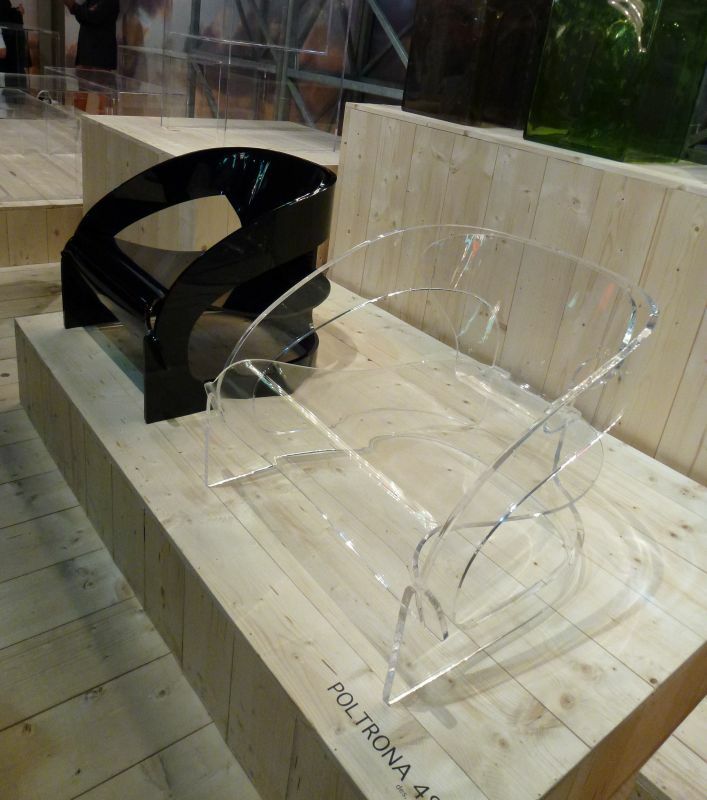 The 4801 chair is also known to be produced by Kartell lunico piece of wood. Our use of a material "unusual" for a brand that was founded with the mission to create items in plastic, was due to the lack of technologies that would allow them the time just with the industrial production of plastic. The contemporary industrial molding technology today allows Kartell to produce the same product using the plastic (PMMA), to resume, in the proportions, the sinuous curves and shape. The 4801 meeting is now available in three colors that enhance the forms: crystal, black and white, is produced by Kartell in numbered series.